My dad sent me this quote a couple days ago, and it really resonated with me. I even wrote it on a post-it note and stuck it on my wall at work. I have a feeling it might speak to you as well. In fact, I’m willing to bet that you, dear reader, wear a lot of hats. You don’t just go to work, come home, and call it a day. Nope. You do so much more than that. In addition to your “real” job as a teacher/writer/financial manager/graphic designer/full-time blogger, you are also a spouse, a sibling, a son or daughter, a friend, and a colleague. You’re a support system, a listener, a bearer of wisdom, a shoulder to cry on, a warm hug, and an offer of reassurance. 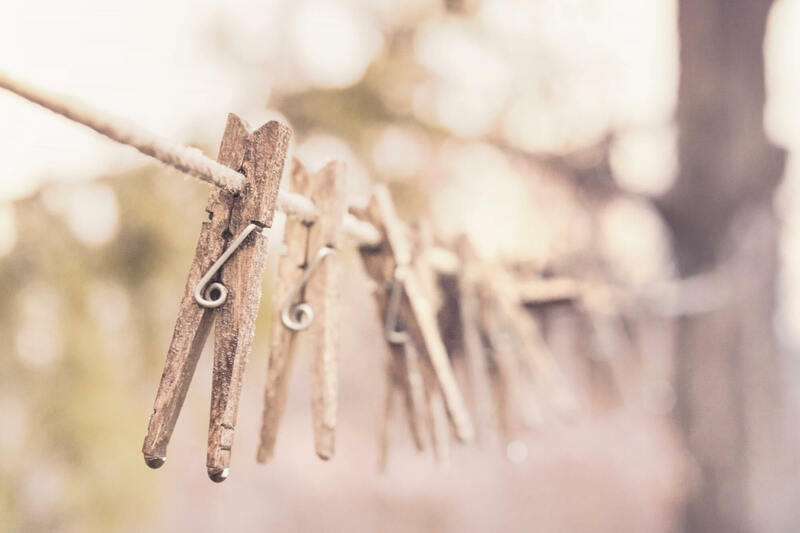 You’re the washer of dirty laundry, the provider of nourishing food, and the loader of the dishwasher. You are the lawn mower and the driveway shoveler, the dog walker and cat feeder. You’re a defender of monsters under the bed, you’re the reader of endless bedtime stories, you’re the watchful eye ensuring that hands are washed and teeth are brushed. You’re the wiper of runny noses and the taxi to basketball practice. 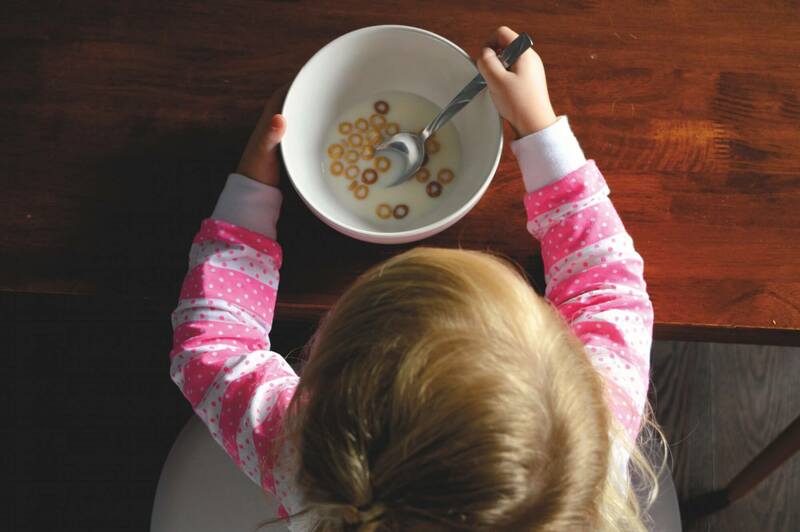 You’re the one who notices when there’s only two slices of bread in the bag or a half bowl of Cheerios left in the box. You take on these responsibilities like a champ and without prompting. And you know what? Sometimes it feels like it doesn’t matter, because nobody notices. Well I’m here to tell you that it does matter. It. Matters. So. Much. I think it’s easy for us to get down on ourselves. It is easy to feel like we should be doing more and being better. We feel we should be spending more time keeping the house clean. Or offer more time volunteering. We must be a better wife, friend, parent, sibling, or neighbor. And then to top if off, we often brush aside – or completely overlook – all of the invaluable things we do every. single. day. Here’s the deal. We need to change this. We need to acknowledge and celebrate all that we do. What’s more, we need to support others who are helping us hold the universe together. So the next time you’re feeling down, or feel like you’re not doing enough, having enough, or being enough, flip those thoughts around. Recognize all that you do. Embrace your hard work, your dedication, your limitless love, and feel proud. 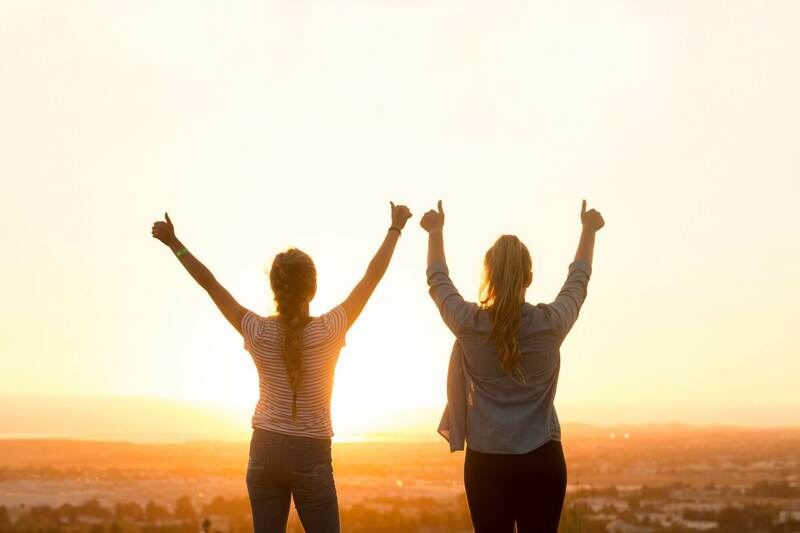 And when a friend shares her feelings of doubt with you, or when your sister throws another ball in the air without dropping the rest, help them see the importance of their accomplishments. Because even if your efforts aren’t recognized, or it looks as if you aren’t “doing a thing,” you are. 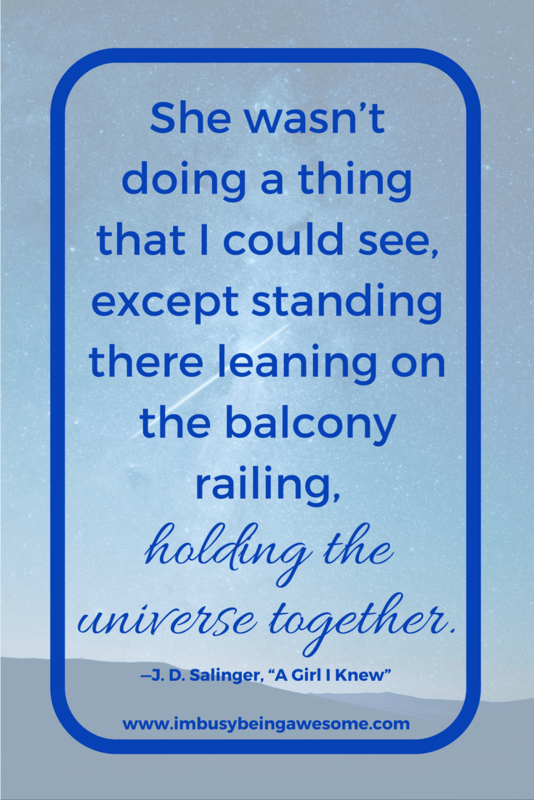 You are “standing there leaning on the balcony railing, holding the universe together.” And the world is better for it. So tell me – what are you proud of? What do you do everyday that deserves recognition? I want to hear it all! Celebrate with me below. Beautiful Paula! And just so you know. I see you too. This is amazing! Beautiful quote and beautiful thoughts to go with it! Well first, your dad is amazing. What a gift to have him send you this quote! and yes, wholeheartedly agree that we each forget all that we truly do. We are uniquely wonderful and impact the world around us! Yes, he is incredible:) And exactly! We need to recognize our unique contributions to the world. Just what I needed to get some things accomplished today. Thanks for sharing! This is just what I needed! I feel like a do a lot of small things for others and get into the habit of feeling like I haven’t accomplished anything. But it’s just the opposite! 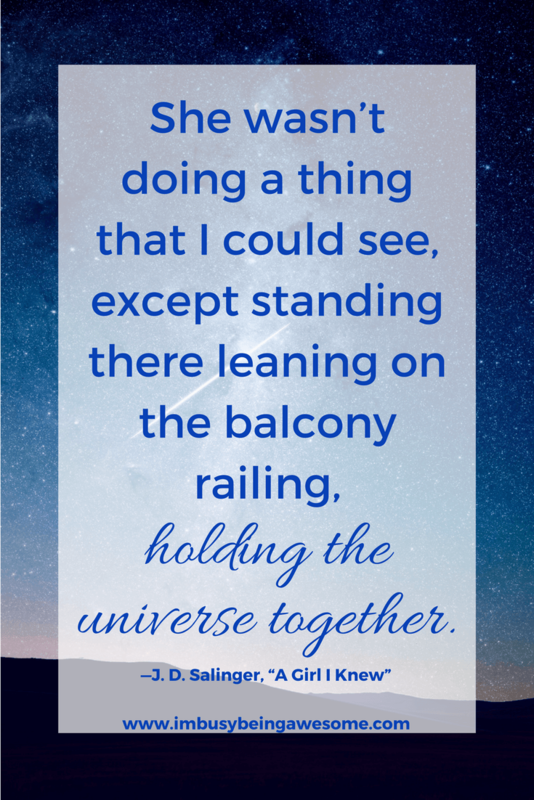 In doing the seemingly small things, we “hold the universe together.” So glad I found your blog! I love this – great words of inspiration on a day when you’re feeling kinda blah about all you need to do! It’s such a great reminder that we are constantly holding things together! You seriously just lifted my spirits 🙂 I think I need to write this whole article on a post it note to remember. Instead I will share, share, share. I am proud of being a step mommy – it SO hard and emotional. I raise the kids full time through the school year with my husband and am doing all the mommy duties and as we all know, most of those duties don’t get noticed or recognized. As a stepmom this can be harder as our kids don’t think of us the same as their bio mom… but I keep on plugging away and opening my heart for more. I love this! I’m a wife, mom, blogger and military spouse! This is so true. I was just speaking to a friend about when my parents were sick. She asked me how I did it. Working and caring for them. I told her I just did it. One breath, one minute, one hour, one day at a time. Because I loved them. It was exhausting. But when it was over, I remember thinking my dad was proud of me. Your dad is proud of you too! Keep on going! You’re doing a great job. Excellent post. It just reminds me that we truly are super heros…and we all know that each super hero has their own special power. Yes! I love the way you put that. We need to recognize the strength in all of us. Thanks for the words of encouragement! Hit the spot for me today! 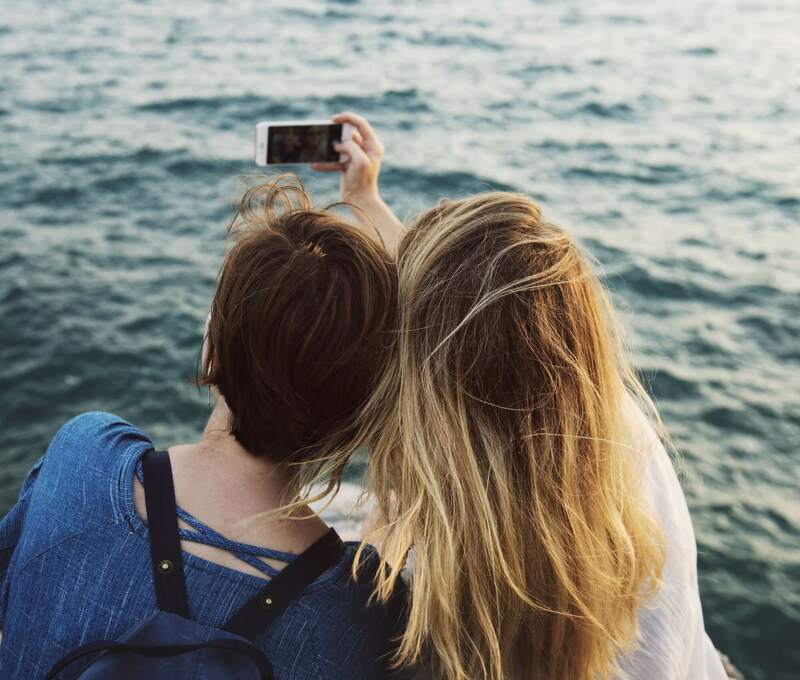 I’ve been trying to figure out how to bring my adult kids together for a family trip and it seems there always seems to be someone who can’t conform or make it work. I’m grateful today for children who love me and love each other. Even if we aren’t able to be together at the same time I know we are together in heart! Love this. I have so many days where I doubt myself. This was a great reminder. Thank you! Sharing, pinning, reminding myself to reread on a regular basis. I don’t think I could love this any more!